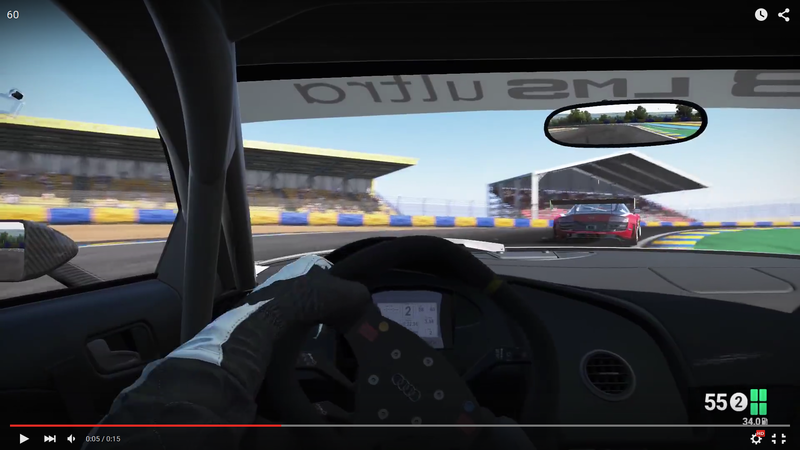 I've taken some 60FPS footage of me and another R8 LMS on Le Mans. I made sure to wave around so that the AI car moves rapidly between frames. I'm just editing it down to make 2, 5, 10, 30 and 60 versions like SMS mentioned. EDIT: Vegas kept giving me an error trying to render at 2FPS. All the others came out fine and are uploading now. A single video with each FPS segmented would be interesting. nobody in the 100 strong team,Namco testers and 1st party have mentioned this. This is why I think we may brush it off as a video artifact when all is said and done. According to some people on GT Planet who have played it at Game stores today (UK) say the ghosting is visible when playing and i think ( iv'e only quickly read it) it appears to be a PS4 issue. This is why I'm worried. Also the fact that there seems to be no motion blur but just a blend of two frames with two sharp ghost images (yes, even at very fast moving side objects, both "ghosts" are sharp) could mean the motion blur may not be working as intended. If it was just a video problem, and there is actually a proper motion blur applied, I'd assume we'd see two blurred ghosts, instead of two sharp ghosts. Admiesters video may not display the problem because he says he's not seeing anything and I'm guessing it will be PC footage. I edited it in above. I just realised that with the slower frame increments you guys might've meant a slowed down video, so I'm doing that as well now. This is why I'm worried. I wouldn't put it past game to have stock/bad calibration on their screens. Ghosting is pretty commonly caused by display devices in my experience. Here's the time stretched version. It's from the 60FPS footage, stretched from 0:15 to 1:00. Not sure what the real framerate of that would be at the end, but it's rendered and played back at 30FPS. As you can see, still no ghosting whatsoever. At every single point, even when the camera is moving very fast, the leading car is still crystal clear. Here's a new shot of the slowed down version during a point of heavy camera movement. I think I've captured something that might convince you that it's a display/video issue, hesido. I took a screenshot from a PS4 gameplay video and managed to catch ghosting even on the HUD, an element that isn't affected by any motion blur whatsoever. Check out the red timer next to Ben Clemencau on the bottom left, and the green timer next to Kurt Buyst under it. Both are transitioning between frames and are under the effect of interpolation/blending. The "4" in "304" has extra green because the next number was fading in, and the number at the end of the red digits is completely incomprehensible because it's mangled by the blending. That seems like some sort of proper motion blur (dithered), unless of course added in post processing of video? Can you post a screenshot from an original 60fps direct feed capture? But the issue is also present in Digital Foundry hands on (that one they had to apologise for), but aside from performance increased, the final builds we're seeing on TeamVVV still has this issue. I'll edit in the screenshot. Ok, DF thinks this is a special implementation of per object blur, but they are wrong. It's just a crude frame blend! If they played frame by frame, they'd know two distinct frames are visible and 50% blended for every frame. The fact that the HUD has this issue can also mean a very simple bug may be doing this blend on final buffers. I'm downloading the Gamersyde videos. Neither have any post processing applied, except for the time stretch applied to the slower video. No ghosting in either, even at the same blurriest point. 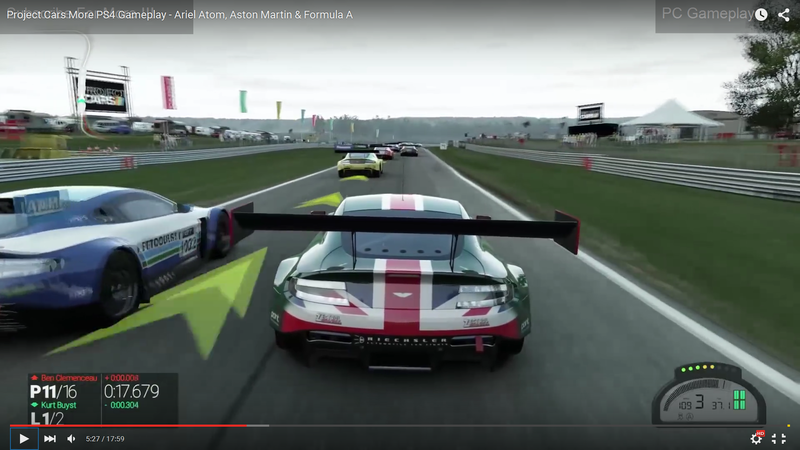 Also check out my edit above, the screenshot with the Aston Martin. So can you summarize the ghosting issue, based on this analysis, in terms of static shots vs FPS? Well, time streching would be wrong way to test this as there seems to be added post process by the video edotir, we just need same frames repeated for slower replaying of same video frames, but the unedited video shows a subtle motion blur and no ghosting. The PC version doesn't have this problem apparently. Nor does the xbox one. I'm leaning towards a rendering bug as this is present in Gamersyde, TeamVVV AND digital foundry captures. However, slowing down PS4 videos to 0.25 speed is also telling. Tho it would be much more demonstrative that the alternate frame blending is causing this problem, if played even slower. Speaking purely in terms of the PC version, there is no ghosting to be observed whatsoever, at least in my build (latest version as of this post, whatever that is). It's running at pure 60FPS, and there are no blends to be seen anywhere. The only motion blur of any kind that is visible in the footage and static screenshots is the real, smearing motion blur that is properly implemented and excludes cars. From the screenshots you can see that it's working properly, the background is heavily blurred from the movement but the R8 is clear (besides video compression artifacting of course, but that looks very distinct from ghosting). 1. All footage captured so far by everyone is resampled, giving the ghosting effect. This is seeming less likely as the Digital Foundry screenshot above looks like a direct framegrab from the game as opposed to a frame from a video. It's possible that their capture equipment introduces the ghosting, but it isn't present in the XB1 equivalent. 2. The PS4 has an issue with rendering in the game where it, and only this version, suffers from ghosting. This is the one that looks more likely now from the proof posted above. Since the Xbox One and PS4 comparison in hesido's screenshot is from Digital Foundry, we can assume they were captured in the same environment, yet the Xbox One version has no ghosting. The ghosting seems to affect everything on screen, including regions smeared by motion blur, but it's most noticable on aspects that don't receive any blur, such as opponent cars and HUD elements. Most visible when something is moving fast, as there has to be a big difference across two frames to see it. If it turns out that there is ghosting in the PS4 version, then the PS4 version is the exception/outlier as the PC and XB1 versions don't suffer from any whatsoever. PC I can vouch for personally, XB1 version I can only speak in terms of video footage I've seen from others. Hopefully that covers what you're asking for. If it turns out that there is ghosting in the PS4 version, then the PS4 version is the exception/outlier as the PC and XB1 versions don't suffer from any whatsoever. PC I can vouch for personally, XB1 version I can only speak in terms of video footage I've seen from others. Thanks - I personally implemented this stuff for XB1 and PC (DX11). Static frame analysis aside do you geniunely see a huge difference between the platforms at 60FPS? SMS, I don't know why you are entertaining him, these are based off youtube videos, not anything good like gamersyde or or any other place where you can find uncompressed footage. This specific one I'm 99% sure is a direct frame grab, and has nothing to do with a video. 1. I'm 99% sure DF would capture from the console as it's playing the game, and not take screenshots from a video recording. 2. Even if they're from a recording, both screenshots were taken in the same way, but the XB1 doesn't exhibit it. Yes, it is a big difference and is actually rather noticeable even when in motion. But as for static frame analysis, where it's easier to observe, see the picture in this post in response to the other quote. From a similar situation the PS4 version has extensive ghosting and it looks essentially out of focus in a way. Because your game is a racing game I think it matters a lot more than any other game, as you typically want a crystal clear image because of how fast you move in the later game cars. Having it visible in motion can be a bit offputting in such a high speed game. What you said poses an interesting point, though. It makes a new possibility for the cause of the ghosting in addition to the two you quoted. 3. The ghosting is caused by either the different person/team's method of implementation, or is a byproduct of the APIs that the PS4 uses. The fact that the issue isn't present in DX11 versions but is in what I assume is an OpenGL version is very telling. EDIT: Also, I'd like to thank you for your dedication to the issue. The fact that you're still working/taking feedback about the game at almost 3AM (assuming you're part of the UK team) at the start of the weekend can't be fun but you're still helping, so thanks a lot for working with us. Because about what I've said about the hundreds of people that have looked at our game in the QA process etc etc before it was viewed by the public, there is a small possibility here that people might have spotted a geninue bug, so despite it being a minor thing in the scheme of things, I want to get to the bottom of it. Call me OCD but a few hours of feedback conversion to perfect a possible visible error to a few percent of people who pay for our game is f*cking important. I can confirm the issue is present on the following gamersyde video as well. Downloaded the whole video. 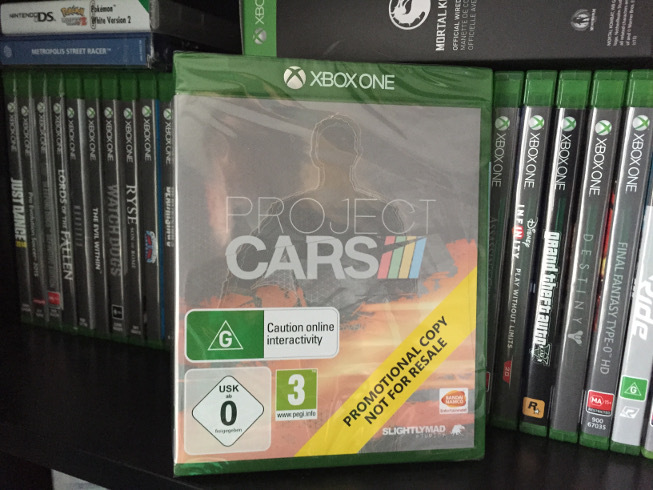 And the issue is this: P.Cars on PS4 is doing frame blending, and probably not on purpose. The reason many don't notice it is because when viewed in normal play, the same frame is persisted inside of two frames so the eye can manage to extract a full frame of information, although at any given paused frame, we have two distinctly rendered frames blended 50%. This becomes (sort of) 100% as the distinct image of one actual render is persisted also in the next frame when the video is viewed in normal fashion. Just download gamersyde video, download pot player on PC, and view the game frame by frame by hitting the "F" button. You'll notice the shared renders across consecutive frames. I consider this an insult. I'm not trolling or here typing on keyboard 4:00 am in the morning (way out of my normal routine) to get entertained by anyone. I genuinely want to help. The issue is present in gamersyde videos as well. Please take your time to analyse it for yourself. NP - Any WMD members here would testify to the render team's genuine engagment with the community over the 3+ years on the forums there. What you see is what you get - I would hope people are beginning to believe that there are no smoke and mirrors here. But at the same time when you go out side of WMD respect has to be earned by engagement and providing information for a large forum like this one. We expect some bumps along the way, but we'd hope to earn your trust and also learn something from a wider audience like this one. Pretty much. I was doubting what you said at the start of this page, but that Digital Foundry picture makes it pretty clear that it really is there in gameplay and not just weird encoding. Also, SMS: Another problem that could come from ghosting is a feeling of sluggishness or less response from the game. If it's severe enough you could be pressing inputs while the previous frame is still partially on screen, throwing things off very minutely. I know this would have to be in a very extreme case, but as your other versions of the game have shown, it's entirely possible for your engine to have no ghosting whatsoever, so eliminating it entirely on the PS4 would be ideal. Thanks again. I have to admit I never really took part in WMD itself, but of course the forum is still all there so I can take a look back at any time. I still really appreciate what you're all doing though. Not just the transparency but how bloody late it is for you to still be working, hah. I can imagine learning of this issue is a bit stressful considering the game just went gold as far as I'm aware, but hopefully it's something you guys can iron out in a patch. It is a pretty important and big thing to discover so late. If I didn't own the game already since 2012 I'd have probably bought it by now just because of your guys' dedication to the game. I notice that XboxOne version has rear lights reflecting on the body of the car and on the tarmac, while none in PS4 version. Is it a build problem or something else ?! Ha! This is actually down time for me - the game going gold was super cool and the D1P being certified earlier in the week on the first submission was great for the team. In the scheme of things we did our best and made it to the finish line. I don't see bugs like the one under discussion as a big issue because with several million video views it's only mentioned by a few people or in direct comparisons. But the info here is genuienly useful and will be actioned internally - and that's how WMD always has worked - people providing videos/comparisons and setup conditions to allow the render or game team to fix stuff. This is from gamersyde video. Feel free to play back and forth the gif frames in a gif editor or some utility. Thanks the SMSRenderTeam for sticking with us, and thanks to theAdmiester for backing me here. -It was 5:10 when I wrote this, give me a break! It might've gone unnoticed by the general public but the ones who do notice it will be the vocal minority, as with anyone who speaks negatively/points out stuff in a game. With the strangeness of it I have no doubts that it should be easy to pick up and fix, especially because it's a consistency issue across platforms. Congrats on the whole thing as well, with the game going gold and all. I've been playing off and on since I first backed the game and it's been great seeing how much it changed through development. The final build is a real work of art now and most of it is probably down to the uniquely interactive way you developed it. I hope it's received very well for your sake so you guys can keep doing things this way. I might double dip and get the Xbox version just to support you guys that little bit extra. and thanks to theAdmeister for backing me here. What this whole ordeal taught me that I'm pretty much alone, to have to point this out after millions of views and do extensive image analysis to prove the point. But do not forget about people who played the PS4 version talking about ghosts and stuff. It is getting noticed. It will be noticed even more when people get to play it themselves. Here's an advertisement for my chrome extension: Late to the thread? Want to keep track of quotes of your posts, want to browse faster? Just grab this superb extension. Updated almost weekly for new features! Awesome saw a guy playing a pirated copy of PCars on twitch. The timestamp of the game was from October 2014. It had all the old track names and still had stock cars too. SMSRenderTeam, are you sure it's not the AA on PS4? Yup, it's been awesome to be part of such an open process and it's been a huge learning experience as well, for all of us as far as I can see. Just got to say thanks to hesido, TheAdmiester, _machine and of course SMSRenderTeam for trying to get to the bottom of this issue. I bought a PS4 for pCARS so any bug that perpetually affects IQ is of some concern. Keep up the good work chaps. What happened to the PC build? But you're still ignoring the question of support. You know there are many countries in the world where you can't refuse giving support for things you sell, right? And what would be the real gain for platform holders? Don't you think that they'd prefer people buying new devices licensed for their new consoles? Because I'm sure they do. If a game decides to include Logitech GT or G27 support, I think this would positively affect its sales. I for one would flock to buy it. And then, it will just be a matter of how much supporting these devices would cost to the developer versus how much additional sales it will bring to it. And at the end of the day, they'd probably lose money in the process. Now, get real, people: if you really want to play driving/racing games with your Logitech wheel, play on PC. Logitech is still supporting their wheels on this platform. It's still coming..! 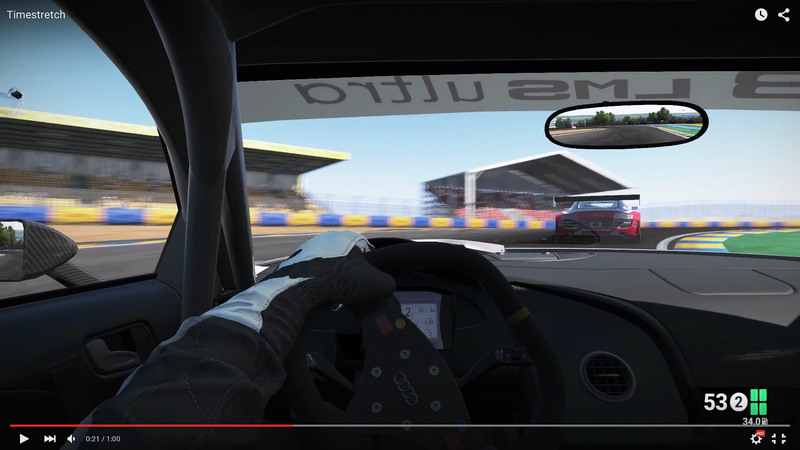 The wheels were in motion but the recent Fanatec support for PS4 gave me pause for thought. The console route is the more appropriate for me right here, right now, but I'll upgrade once consumer VR and/or the next wave of chipsets land. What specs did you ultimately go for Sal? It's not just that, but as far as I know due to FFB (and licensing) developers simply "can't" support these devices, especially not officially. It isn't the same situation as it is with flight sticks or arcade sticks. I wasn't supposed to have the time, but I had go with my 360 pad for a while (was supposed to just try a few laps in the 1M and ended up driving 5 difference cars tracks...) and need to correct myself the controller mode 3, is probably the best (at least to start with). It's the closest GT or Forza with a quite smooth steering and it felt like it works really well for all kinds of configurations. I had no trouble wranging the Formula A with cold tires straight out the pit...until I did huge drift that ended up on the grass and subsequently destroyed my tires by spinning like crazy trying to get back up to speed. With a slight practice I was able to pull some small drifts with the 1M with the same setup as well, so I personally recommend going down the controller configuration list and changing the mode 3 if the default mode is too sharp. Lol, do I now go with the XBO version instead now in light of this ghosting!!! Quick question, PS4 multiplayer servers, they dedicated or p2p? Well, this was what I ended up with on a friends recommendation..
My previous build was from when the dinosaurs ruled the earth, so the upgrade was pretty substantial to say the least.. I think I've read previously that the impulse/rumble triggers on the Xbox One controller won't work with this game on PC. Is that due to a lack of driver support for them in general, or is it something which we could potentially see patched in to the game later? Your friend did well, great build! Can't wait to dig into this once my daughter has a nap! If you mean on PC I am pretty sure windows just doesn't support it. Ms hasn't released support for it. Be carful, there is apparently Online Activity! Do they have those stickers on every online game? There is a German guy streaming it on the PS4 via twitch if anyone is interested. I can't remember his name and im not at my computer or PS4 anymore but if you type poject cars in the twitch search window it will pop up. Ah yes, I've edited my post to prevent confusion. Hopefully that's something which changes in the future. He's playing with the pad. His current gamepad settings seem to be a bit twitchy. But he's tweaking them in the settings from time to time. So he's getting there. Anyway, max grid at Spa in a thunderstorm at night please. Awaiting your urgent report! Seriously, the game looks phenomenal! Wait, when does this release? How do people have copies now? Review/promo copies, code provided to backers of the original kickstarter, who knows. Us regular folk won't get a cnce for a couple of weeks. The game is out on Thursday in EU, Friday in UK, May 12th in US. These are most probably either review copies or copies that were sold before street date. Backers were given only PC code. Is this game like Forza/GT or more arcadey ? More simulation, especially when it comes to racing rules and race setups (practice, quali, longer races with flags etc.) Physics are more "simulation" too, with flatspots and generally much more detailed tire physics. Yup, mine is a review copy. Ahh I got all excited for a second. At least it comes out when I've done all my assignments for the year.